IMCDb.org: 1969 Porsche 911 S Targa in "Kardanny Val, 2008"
1969+ by the integral flared wheel wells. 911 indeed, has golden letters' bonnet badge. 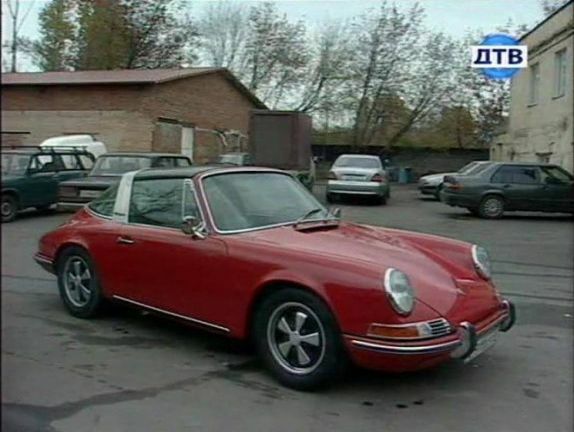 There were 912 Targas, made one year only.